If you are feeling stuck or jaded, here’s how you can become refreshed. Just recently I spent a week in the Swiss Alps. Each morning on my travels, I took a bottle of water in my rucksack. The weather was warm and, because I did a lot of walking, the water didn’t last all day. But you don’t need to go far before you see a water fountain. 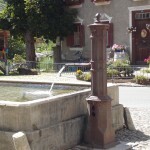 It seems that in every village square and railway station there is a fountain flowing continuously. One afternoon when I was buying a cup of tea from a café, I asked about the fountain outside – was it safe to drink the water? 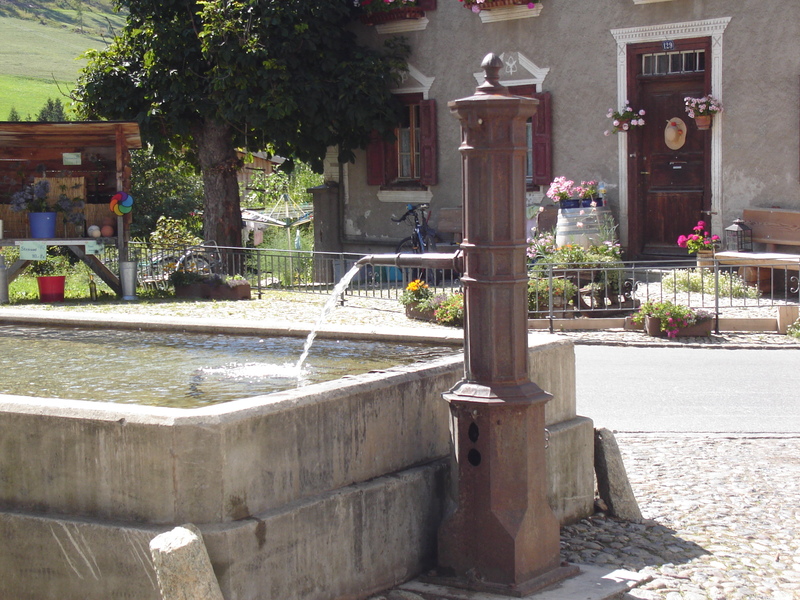 The proud reply was that the water from every fountain in Switzerland is drinking quality. From then on I was able to refill my water bottle wherever I went. And I must say that cold, direct from the mountains, it tastes delicious! It reminds me of how we get refreshed in life; there is always a fountain on hand. The energy of life that is continuously flowing through us is the fount of fresh perspectives. A new perspective brings a refreshing experience. New options become visible and new choices are possible. Like sunlight breaking through, everything looks different even though nothing has changed. There is an infinite supply of new perspectives because there are always thoughts that we have not yet thought. But you can’t refill a bottle that is already full. If you want to be refreshed, then don’t take your current thoughts as inevitably true. Spend less time with them; leave room for new thoughts. Just like I did, you can rely on the fountain. There’s nothing special you need to do – knowing that the flow is always there is enough. I can really agree about the special qualities fresh from a cool spring. Living close to some of the wells at Malvern we have a continuous flow of fresh water that comes out of the ground at a lovely cool temperature no matter what temperature the air around us is. It is so pure and refreshing. As you may know the water was hailed as a miracle cure many years back and a whole business sprung up around it. With people coming from all parts to take the water cure. Later science has shown there was nothing in the water (maybe a great thing in these days of chlorinated and fluoride loaded tap water. The thing they believe that was the real cure was the freshness of the air especially for those working in the black country. I also like the point you raise about not having room for more water if you do not some of the old out and the same applies in all areas of life too if we do not clear our minds of the old thoughts running the show then we cannot have room to welcome in new ones, if we don’t have an occasional clear out at home then we cannot bring new stuff into it. Thanks Jon – just as Malvern water is local to you, you point to the closeness of the water of life. A refreshing new perspective is only a thought away. What a great analogy Trevor! I can picture the beautiful mountains and taste the cold mountain water – fabulous! I really like your closing comments about the fact you can’t fill a bottle that is already full. It seems that many of us are carrying so much ‘stuff’ with us all the time that we don’t leave any room or space for new ideas, experiences, perspectives to emerge.